An update on Project X can be found here. The appeal fund has now raised £24,600 towards the target of £35,000. Details about this project can be found here. For those members who have booked on the dining train after the AGM this coming Saturday there has been a slight change to the time of the train. Due to the train being FULLY BOOKED, the GCR have decided to run it as a separate train from the usual Saturday dining train. Nev's funeral will be on Monday 18th November at 10:45. Following the funeral all are invited back to the railway (Rothley) where there will be a buffet in the Beavertail and/or buffet cars. It is with sadness that I have to report the passing of Nev Goodman this morning. As you may know Nev had been ill for the past year, but he was determined to remain active and it does come as a shock. Nev had been involved with RVP for over 10 years. Working in the Royal Mail during his working life, he knew Brian Green (former head postmaster in Lecester, and RVP Chairman for many years) well, and it was Brian who persuaded him to come to Rothley one day. In the way these things happen he not only became an RVP member, but joined the board, took over from Brian in running the Monday group and spent an immense amount of time working for us over the following years. As many of us know he was always determined to do his best for RVP and get us the recognition he felt we deserved. 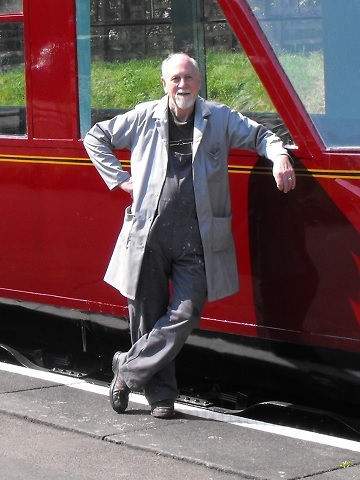 While his particular interest was the postal collection he nevertheless became extensively involved in the works on our other vehicles and maintained comprehensive records on the rebuilds of the Beavertail and buffet cars. His interest remained to the end; only last week he was collating information on the buffet car to complete the history of its rebuild. He last came to the railway as recently as the Autumn gala, and had attended board meetings until the summer. The time and effort Nev put in over the years has added considerably to the position RVP finds itself in today; with more restored vehicles than any time in the past being seen and used by more visitors. He was a well respected member of the team and he leaves a gap which will be hard to fill. Our sympathies to his family at this difficult time; details of the funeral will follow when known. Work is clearing progressing now, but we still need to raise the remaining funds to build the shed, all donations welcomed. 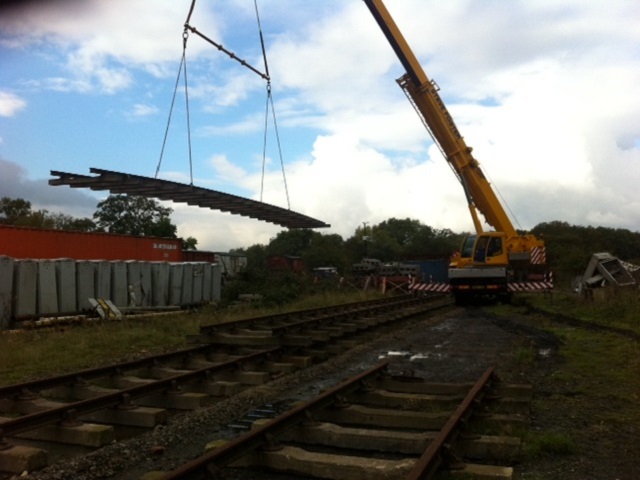 We are very pleased to report that work has started on the site of the new shed at Swithland Sidings. Full details can be found here. TTO 23981 has also been moved to Rothley for its major overhaul to start. Details about this project can be found here. Recent activity at Rothley has seen a lot of attention being made on repairs to vehicles that have already been restored. 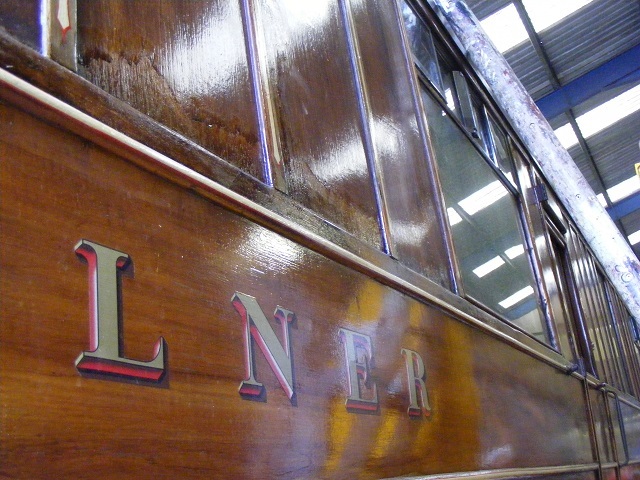 LNER Buffet Car 24278 has seen its roof repainted and some re-varnishing of its teak bodywork following on from water ingress that has caused the original varnish start to fail. It is only two years since this vehicle entered traffic after an extensive overhaul. LNER TPO Stowage Van 70268 has also been inside the shed for replacement of the panelling on the lower half of the bodysides, which will then include a full repaint of the vehicle. 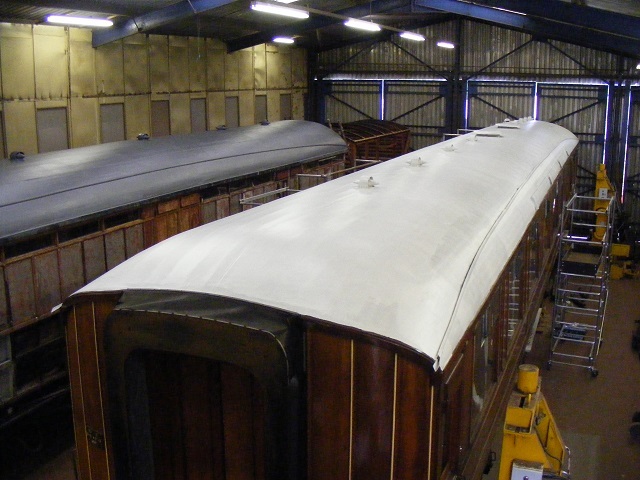 The roof has seen a new canvas installed and painted to ensure that the vehicle is once again water tight. These vehicles and the recent work required to keep them in the best possible condition clearly demonstrates the need to have a shed in which to keep these vehicles from the elements, without the shed more time will be spent on keeping the restored vehicles in a good condition, taking time and resources away from the vehicles that have yet to be restored, which in turn will only mean they deteriorate even further. 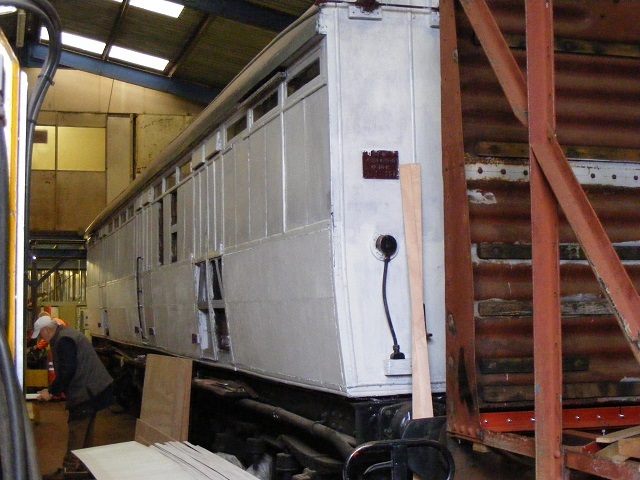 A shed means our historic vehicles, both restored and unrestored, are under cover and not deteriorating which in turn enables resources to be turned to restore those vehicles we have not been able to even contemplate so far. No shed means our historic vehicles, both restored and unrestored, continue to deteriorate with an increasing workload to keep the restored vehicles operational and the unrestored vehicles left further down the queue with some possibly never being restored for all to enjoy. The appeal fund has now raised £22,600 towards the target of £35,000. Details about this project can be found here. We are very pleased to report that we have now passed the half way mark in raising the money for the new shed at Swithland Sidings. Full details can be found here. 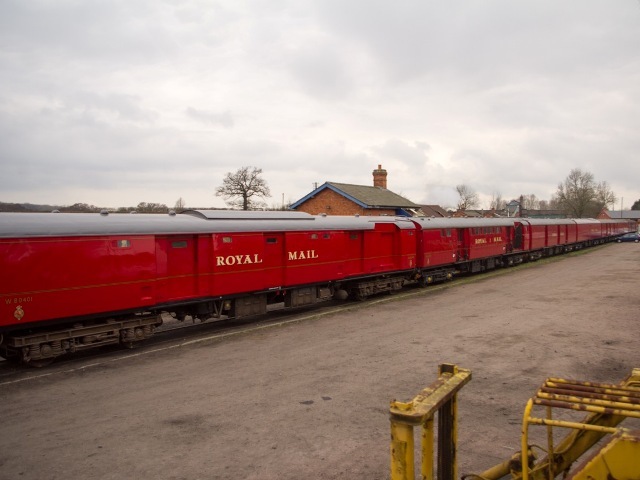 The appeal to raise the money for the new carriage shed at Swithland is now launched - Details here. The appeal fund has now raised £14,100 towards the target of £35,000. Details about this project can be found here. RVP now has an eBay account in the 'eBay for charity' area of eBay, click on the link for details of items currently available. RVP is very pleased to be able to report that the planning application for a carriage shed at Swithland has been granted, an appeal to raise the money for this will be launched in the very near future. The following images clearly show why a shed is required for our historic collection. 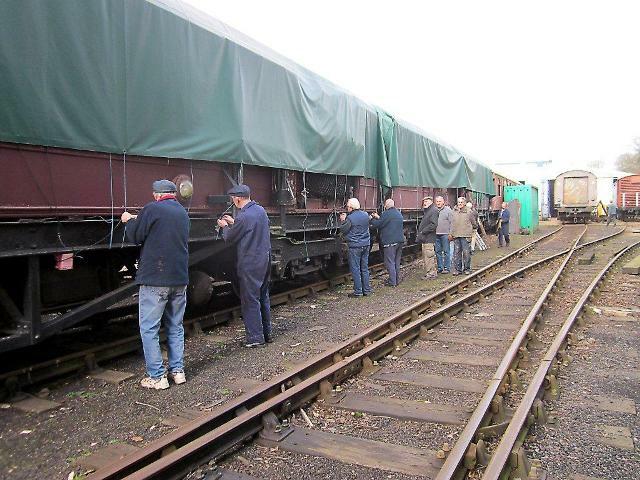 Once the shed is built the sheeting over of vehicles waiting attention should become a thing of the past as they will be under cover before and after restoration.